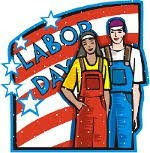 This Monday, September 4, 2017 is the Labor Day holiday. The Peninsula store will be OPEN from 10:00am until 5:00pm. Last bike rental for the Towpath Trail goes out at 3:30pm.